We try hard to make a trip to see my in-laws in San Antonio at least 4 times a year. They make the trip here to Dallas as well multiple times throughout the year. Every time we are there Grandma Lopez makes my boys eggs. With cheese. They are spoiled. Every time I make eggs the boys say, “Make them just like Grandma does… with cheese.”. These make for a delicious breakfast straight from nature! I love easy recipes at my house! This week I made them for the boys, but with one alteration. Let me show you. 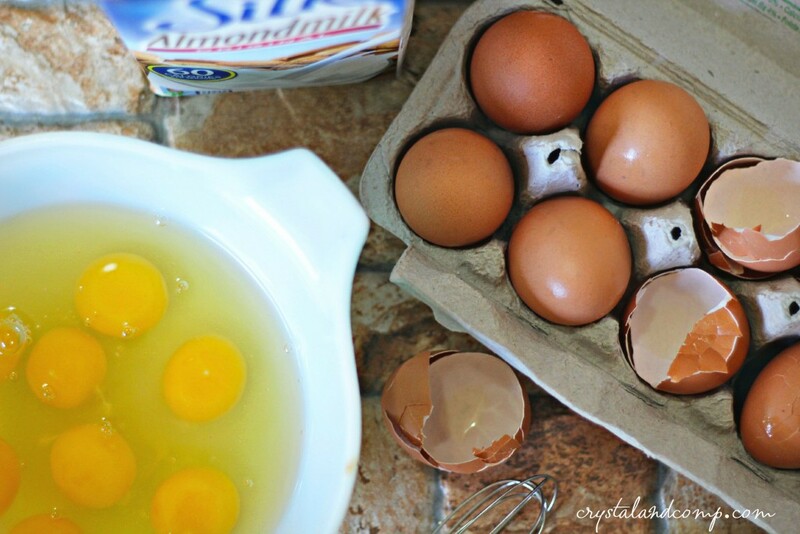 Crack all of the eggs into a medium size bowl. Add in the almond milk. Salt and pepper according to your taste. Add the egg mixture to a pan or griddle that has been warming over medium heat and has been sprayed with non-stick cooking spray. I love using coconut oil spray. Scramble the eggs as you typicality would. 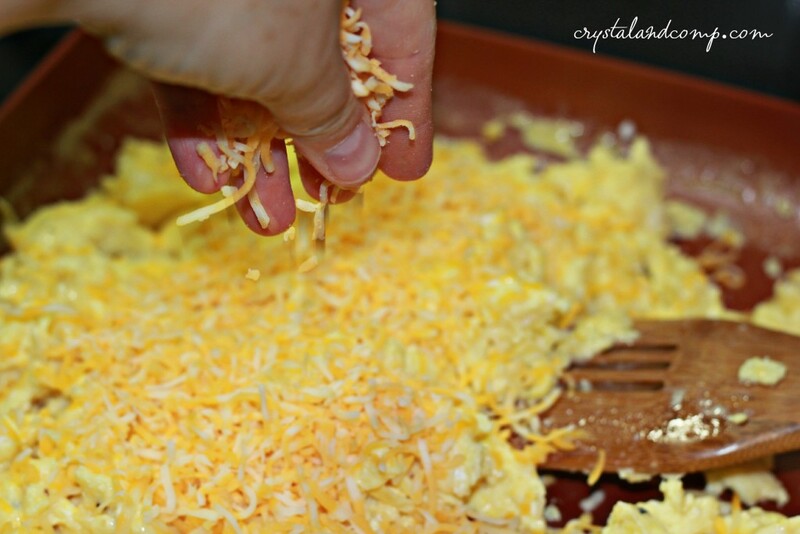 Once they are done evenly top with the shredded cheese. Mix it up as the cheese melts, evenly distributing it all over the eggs. The cheese is hidden all in there, melted and perfect. We love serving these with some waffles and fresh fruit. Strawberries are typically what my mother-in-law serves with her cheesy eggs. I only had oranges on hand. While my mother-in-law often makes her own waffles, I am usually pressed for time. My boys love Kashi’s blueberry waffles. Matthew could eat the entire box. This is such a filling and delicious breakfast. 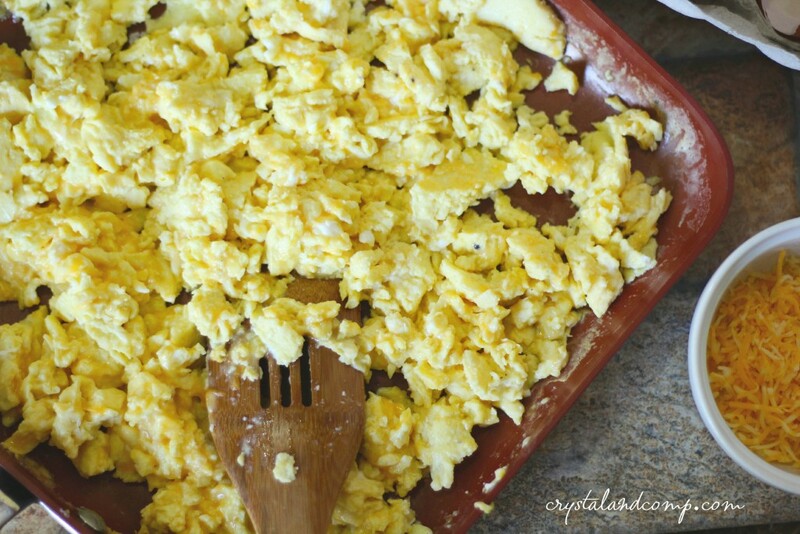 Want to make cheesy scrambled eggs for you family? We want to give you a free dozen of Simple Truth eggs! When you buy three participating products from Silk, Kashi, Noosa or Simple Truth at Kroger and use your loyalty card, you will get 1 FREE dozen Simple Truth (Cage-Free) Eggs. This offer is goof from October 14 – October 27 2015! What’s on your breakfast menu this week? OMG yes!!!! I wish my grandmother made me awesome stuff like that when I was a kid. I am drooling over these eggs right now. NOM!! Those look fantastic! 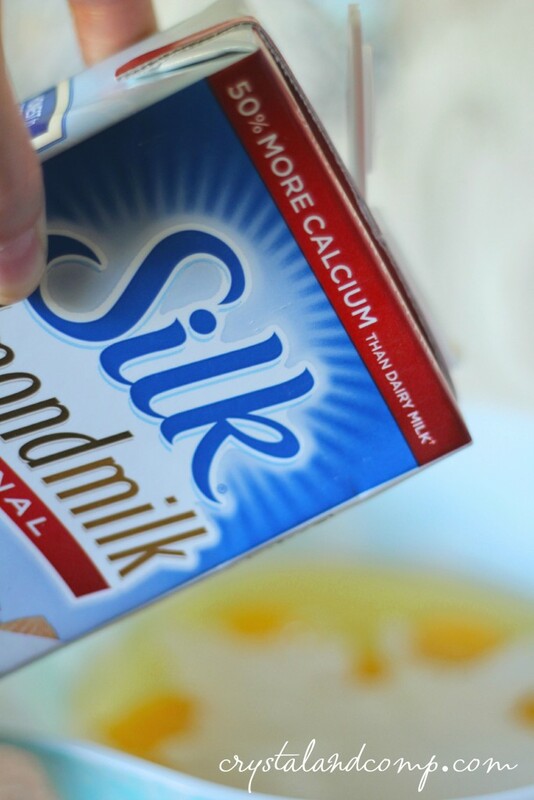 I love Silk, but I’ve never thought of replacing milk with it in recipes. This looks SO good! I have never cooked with this milk before, but I bet my tummy would like it a lot better! I will be trying it! Oh yum, my family would love some of these in the morning. I need to try this out! These scrambled eggs sound so good. I will have to try this recipe soon. We eat scrambled eggs a lot in our house. The scrambled eggs look delicious. 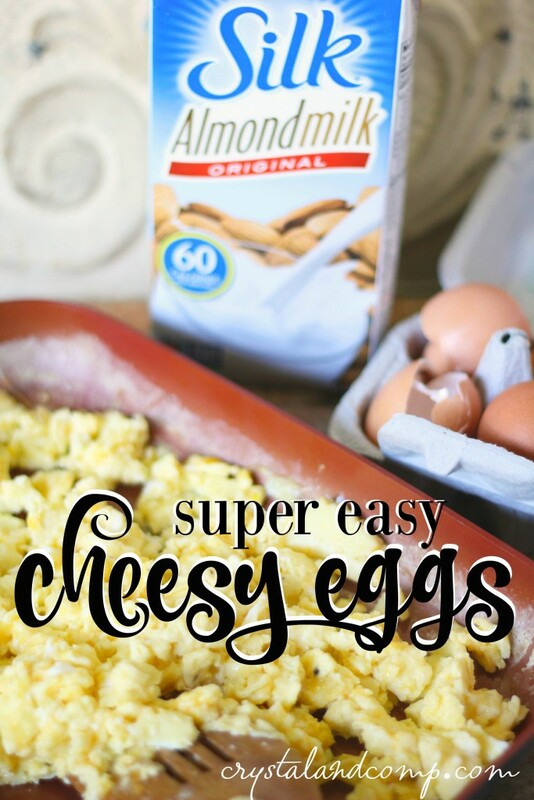 I never tried adding Almond milk to my scrambled eggs but I will give this a try. Thanks! I love serving my family cheesy scrambled eggs. So simple but yet so yummy! Kids love it on Sunday mornings! I’ve never tried using almond milk for my scrambled eggs. I’m not a fan of almond milk, but I think I could try this. We love making eggs for breakfast. It is a great way to start the day. I will have to try this recipe. I love scrambled eggs with my breakfast on the weekends. They are definitely even better with cheese. Ooooh, I love cheesy eggs! Im going to have to rememver this recipe! We love scrambled eggs around here. I actually just made a Tuscan omelet. I haven’t tried adding almond milk though. Bet it’s delish. I love cheesy eggs! These look so good and just made my tummy rumble! =D I always added milk but never tried almond milk. Omg this is literally my daughters favorite food! 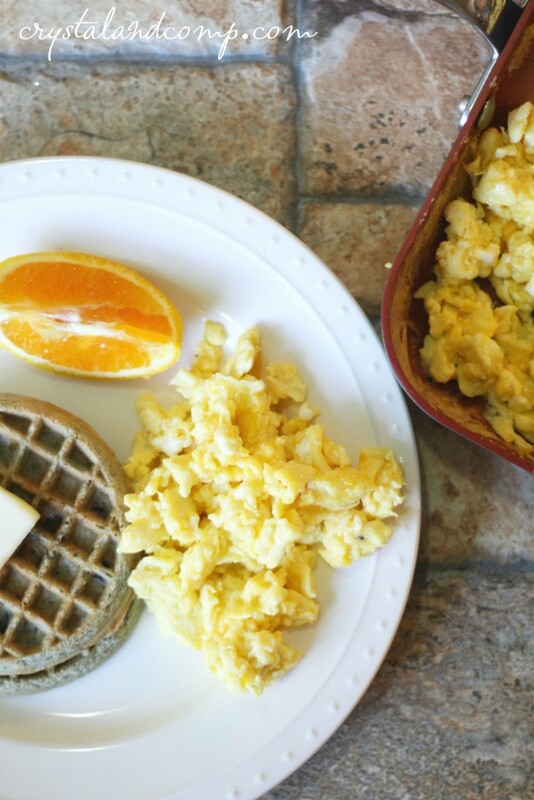 I make scrambled cheese eggs with almond milk several times a week! Yum!! Thank you for sharing with us at #HomeMattersParty. We would love to have you again next week. You had me at cheesy… I love cheesy scrambled eggs. These sounds pretty amazing! Our breakfast menu is usually the same day to day – a gluten free dried cherry chocolate chip muffin and Greek yogurt. Thesee eggs look like something my boys would love.